The combat of the rising aging-related ill health, and the extension of healthy and productive longevity for the entire population are critically important, urgent global tasks. Unfortunately, their urgency has not yet been universally recognized by the global scientific, medical and policy-making communities. The extension of healthy longevity, for oneself, for the close ones, or for the entire society, would probably not raise too many objections. Unfortunately, few people or organizations consciously, explicitly and proactively make it their main priority. Indeed, even though the combat of aging-related ill health and the tasks of healthy longevity extension are relevant for every nation and for the entire world – these goals are seldom specifically posited in major national or international programmatic or policy documents. Such programmatic and policy recognition is needed to “authorize” increased investments of intellectual and material resources for aging amelioration and healthy life extension by the governments, large institutions, and eventually by individuals around the world. A part of this need would be even to recognize degenerative aging, causing age-related ill health, as a problem that needs to be addressed by medical means. How can we invest efforts and resources to solve a problem that is not even explicitly recognized? Even more critically needed is the recognition of the vital role biomedical research must play in developing effective means for healthy longevity, beside and beyond the well known healthy lifestyle regimens. These means are not yet a given, they still need to be researched, developed and applied, and for that purpose dedicated efforts and resources are required. This necessary requirement is too seldom recognized in policies and programs. Despite such a relative deficit of specific programmatic and political goal-setting for the amelioration of degenerative aging and extension of healthy longevity, via enhanced biomedical research – there are nonetheless some regulatory and policy frameworks that can be interpreted as supportive of these goals. Elaborately specific programs and policies for aging amelioration and healthspan extension may still need to be developed and adopted by national and international authorities. But in their absence, a good strategy for longevity research advocates may be to justify their advocacy from the existing policy and programmatic foundations.1 Below is a brief review of some of those existing regulatory and policy frameworks that can be leveraged for anti-aging and longevity advocacy. As we shall see, sometimes those regulatory and policy frameworks may even appear explicit about the requirements to research and develop effective diagnostic and therapeutic interventions for healthy longevity. Unfortunately, these requirements may not be explicit to everyone, they may be glossed over, simply ignored, or given conflicting interpretations. The present work presents such supportive points highlighted and adaptable for the benefit of longevity advocacy. Thus, WHO generally articulated the need to devise scientifically grounded and clinically applicable definitions, criteria and measures for aging and its improvement. Still, this emerging recognition has not yet reached the level of practicable clinical and research guidelines, apparently in a large measure due to the deficit of agreement on the main definitions, criteria and targets for intervention. Nonetheless, these statements by the WHO GSAP directly suggest the need to support biomedical diagnostic and therapeutic research of aging. 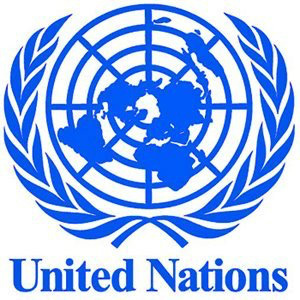 In fact, in this document, the WHO member states are explicitly requested to “promote and support research to identify the determinants of Healthy Ageing and to evaluate interventions that can foster functional ability” (Plan of Action, 2016-2020, 5.3. Member States). Of course, it may be yet a long road from this recommendation to its adoption and implementation by member states as a priority. However, based on the GSAP authority, longevity research activists can have an opportunity to emphasize the importance of biological and biomedical research of aging to develop effective health care for older persons, at all levels of government. It must be noted, however, that all these objectives and actions can be interpreted to support biomedical research of aging if emphasizing the correct biological/biomedical aspects. For example, “national healthy ageing policies and plans” desired by the GSAP (Plan of Action, 2016-2020, 3.1. WHO Secretariat) must be understood to include biomedical research. And the need to “ensure competencies on ageing and health are included in the curricula of all health professionals” (Plan of Action, 2016-2020, 3.3. Member States) should also be understood to include biogerontology. Otherwise the biological and biomedical interpretation of these objectives can be overwhelmed by conventional social, psychological, assistive technological or lifestyle approaches. The latter approaches are important, but need not exclude the biomedical therapeutic approaches. Still, the basis for a biomedical interpretation exists in this document, but needs to be emphasized and made more explicit by longevity research advocates, when promoting the GSAP implementation. It should be also kept in mind that the Global Strategy and Action Plan on Ageing and Health is envisioned by the WHO as a preparation for the “Decade of Healthy Ageing from 2020 to 2030.” Thus the emphases that are placed now will determine policies for many years to come. Furthermore, according to WHO’s report, “healthy ageing” is determined by “intrinsic capacity” that is (somewhat vaguely) defined as “the composite of all the physical and mental capacities that an individual can draw on” and that needs to be “improved.” Such general definitions may fit a large number of working programs on aging. Even though there seems to be insufficient clarity regarding the definitions of “intrinsic capacity” or its evidential improvement, the proactive therapeutic approach to aging is implied. The very vagueness of the definitions suggests the need for more research and development to arrive at more practicable clinical evaluation criteria of the capabilities of the aging organism and their evidence-based enhancement. Furthermore, the report acknowledges that such research would require funding: “This will require the reallocation of budgets, which are currently relatively small in ageing-related research.10” In support of this statement the WHO report quotes one of the best known aging research advocacy papers: by Luigi Fontana, Brian Kennedy and others, entitled “Medical research: Treat ageing” published in Nature in 2014. In its agreement with the need to enhance aging research, development and treatment, the WHO report testifies that aging research advocacy can have tangible influence on the perception of international governing bodies. Still, the biological and proactive therapeutic interpretation of medical research of aging will need to be emphasized by aging and longevity research advocates, in every country. Otherwise, there may be a risk it will be ignored, or pushed aside or even suppressed by non-biological and non-therapeutic approaches. 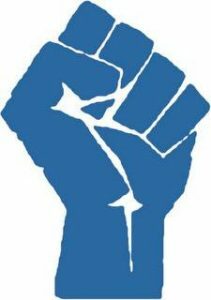 For example that “intrinsic function” or “intrinsic capacity” that needs to be “improved” can be given to all kinds of functionalist, psychological or even downright non-rigorous and unscientific interpretations. But it can also be given more scientific content based on biomarkers of aging and formal clinical definitions of aging. This scientific content may need to be stronger emphasized in any discussion or implementation action, invoking WHO’s programmatic World Report on Ageing and Health. Still the current definitions, such as “senility” defined in an ICD-11 draft as “failure of function of otherwise normal physiological mental or physical process(es) by aging. Not to be used under the age of 70 years” seem to be rather deficient in terms of their clinical utility. Furthermore, a comprehensive, scientifically and clinically usable list of general symptoms for “old age” in the ICD is still lacking. This may be the reason why “senility” has been commonly considered a “garbage code” in the Global Burden of Disease (GBD) studies.15 The reason “senility” has been considered a “garbage code” is likely because there have been no reliable, clinically applicable and scientifically grounded criteria for diagnosis of “old age” or of “senile degeneration.” Consequently, there could be no official case finding lists. Hence, in order to successfully use this code in practice, it appears to be necessary to be able to develop formal and measurable, biomarkers-based and function-based diagnostic criteria for “senility” or “senile degeneration,” as well as measurable agreed means to test the effectiveness of interventions against this condition. Yet, the conceptual basis to seek such diagnostic criteria and interventions is present in the International Classification of Diseases. Further programmatic, regulatory and policy frameworks and documents can be enlisted to support biomedical aging research. For example, alongside the International Classification of Diseases (ICD), there is also WHO’s International Classification of Functioning, Disability and Health (ICF).16 It appears to exist in parallel, and apparently not strongly related to either ICD or GSAP, and hardly even mentions aging as such or the “intrinsic capacity” in aging which is the focus of the GSAP. Thus, the ICF hypothesizes that “it is possible to see if people with similar levels of difficulty are receiving similar levels of support services irrespective of age such as when there are separate systems for aged or younger individuals with disabilities.”17 But the evaluation of aging-related disability is lacking. The addition of a scientifically grounded biomedical classification of aging-related disability and function may greatly increase the utility of the ICF. The addition of biomedical tests on aging to the ICF may be parallel to an addition of some clinically applicable, science-based and practical definitions, criteria or classification of aging or senility within the ICD or GSAP or other frameworks. The addition of debilitating aging to the ICF as an impairment of biological function may be actually easier than outright defining aging as a disease (or a system of syndromes) within the ICD framework. Though, perhaps it may be most desirable to emphasize the clinical significance of the aging process on all the fronts, in all the relevant policy frameworks, at once. Some international policy documents and programs are less supportive of medical research and intervention into degenerative aging, or it may be more difficult to derive support from them. Still, with some charitable interpretation and persuasion, they can be helpful and supportive of aging research and development. Thus, within the UN Sustainable Development Goals (SDG) – until 2030 (adopted in September 2015),18 the Sustainable Development Goal – SDG 3 “Ensure healthy lives and promote well-being for all at all ages” mandates: “By 2030, reduce by one third premature mortality from non-communicable diseases through prevention and treatment” (3.4., emphasis added). This implies that “mature” mortality is somehow acceptable, as well as suggests the need to provide diagnostic criteria for the discrimination of “premature” mortality. This clause omits or does not explicitly mention the aged and the processes of aging (the formulation “for all ages” itself makes the aging problem rather inconspicuous, not prioritized). Yet it may be argued that it is only by prevention and treatment of the underlying aging processes, thanks to biomedical research and development, that the goal of a significant reduction of mortality from non-communicable age-related diseases could ever be achieved. The SDG3 Clause 3.b mandates that the global community should “Support the research and development of vaccines and medicines for the communicable and non-communicable diseases that primarily affect developing countries, provide access to affordable essential medicines and vaccines.” This statement may be interpreted to undervalue the support for research of aging-related diseases that presumably primarily affect the “developed” (also known as “high income”) countries. It may seem to imply both that the aging plagues of the developed countries are not a research priority and that those plagues are irrelevant for the “developing” (“low income”) countries. This is far from being the case. In fact, aging-related morbidity is an ever increasing concern for the developing countries, while their gerontological and geriatric infrastructure is far less advanced and capable of handling the aging challenge than in the developed countries.19 The attitude of the SDG may appear dismissive of degenerative aging as a medical problem and of the need of its research and treatment. It may be that as a result of similar dismissive attitudes, biomedical research of aging is seldom even considered as a specific field of study or as a budget item, either at the international, national or institutional levels. Nonetheless, the SDG does offer some possibilities for positive interpretation in favor of biomedical aging research. In particular, the introduction of science-based evaluation criteria for the aged may contribute to the development of gerontological research and practice capabilities in the developing countries, also as a part of the SDG framework. Going from the international to the national level, for over two decades, the regulatory authorities of the EU, US and Japan have struggled to grant special consideration for older patients in the research, development and application of medical treatments, to involve elderly subjects in all clinical trials, and to establish criteria for treatment efficacy and safety specifically for the elderly. Thus, in 1993, The International Conference on Harmonisation of Technical Requirements for Registration of Pharmaceuticals for Human Use (ICH) issued the Harmonized Tripartite Quideline E7. Studies in Support of Special Populations: Geriatrics (recommended for adoption in the EU, US and Japan). This guideline posited the general principle that “Drugs should be studied in all age groups, including the elderly, for which they will have significant utility.”20 Still, this basic requirement has not yet become an overwhelming practice, while comprehensive criteria for the special medication needs of older patients, in particular the efficacy and safety criteria for the elderly, are still deficient or even lacking in many studies. Nonetheless, the need to enhance biomedical research and treatment of the elderly is suggested by this authoritative international programmatic document, which can be leveraged for aging research advocacy. The fact that older persons are too often excluded from clinical research may be due to some rather unflattering reasons. Quite often academic or pharma researchers may be unwilling to risk confounding their study results by including the complicated, increasingly dysregulated and disbalanced, multi-morbid and frail elderly patients, undergoing multiple, often antagonistic treatments.21 Cynically put, the confounding of research results by the elderly subjects could jeopardize the chance to publish the research, or in case of pharma research, could cast doubts on the drug efficacy and value. More charitably put, the researchers may be simply unable to handle the complexities that may be involved in including the old subjects in their investigations. Moreover, the clinical trials may even endanger the frail, high-risk elderly patients (who nonetheless do receive the potentially dangerous treatments that are not evidence-based for them). Trying to change this exclusion practice would go against quite a few odds. Still, for the benefit of the elderly patients and for the sake of scientific honesty, it may be highly beneficial to determine whether drugs and other treatments actually “work” or “should work” in the elderly patients in whom they are applied, to know the exact conditions, dosages and regimens under which they “work” in those patients. The “Harmonisation of Technical Requirements” may provide an additional authoritative justification to advocate for such research. This argument for aging research may apply not only for clinical trials on the entire aging organism, but also exploring manifestations of aging on all levels of organization, such as aging cells, tissues and organs. In the EU, in the past years, the European Medicines Agency (EMA) has undertaken several programmatic initiatives to include the elderly into clinical trials and to develop the relevant diagnostic, inclusion, efficacy and safety criteria.22 Thus, in February 2011, the EMA issued the EMA Geriatric Medicines Strategy that would “ensure that the needs of older people are taken into account in the development and evaluation of new medicines.”23 Yet, subsequent reports revealed that those needs, in many cases, are not sufficiently addressed.24 There have been also continuous efforts by the EMA to develop the specific diagnostic criteria for general age-related frailty as a common determinant of age-related diseases and disabilities. Thus, in March 2013, the EMA issued the brief “Concept paper on the need for a reflection paper on quality aspects of medicines for older people.” The paper urged to reflect on the fact that “there is no specific legal requirement for the development of medicines for geriatric use.”25 Also about the same time, in May 2013, the EMA issued the “Proposal for the development of a points to consider for baseline characterisation of frailty status” including physical frailty, comorbidity status and mental frailty.26 Apparently, these documents are still in preparation.27 Even though much work yet remains to be done to formalize the diagnostic and therapeutic criteria and guidelines for intervention into old-age frailty, old-age multimorbidity or even degenerative aging itself, the EMA appears to be open to explore their development and application. The situation at the US Food and Drug Administration (FDA) appears to be similar. The need for the inclusion of older subjects in all clinical trials and the necessity for devising specific criteria for their diagnostic and therapeutic assessment are recognized. Thus, following the ICH Guidance E7 Studies in Support of Special Populations: Geriatrics, in 2012, similarly to the EMA, also the FDA expressed the hope that “certain specific adverse events and age-related efficacy endpoints should be actively sought in the geriatric population, e.g., effects on cognitive function, balance and falls, urinary incontinence or retention, weight loss, and sarcopenia.”28 Yet, apparently, this directive has not been satisfactorily accomplished. For example, there is no mandatory inclusion of elderly subjects in the US National Institutes of Health (NIH) trials, unlike children, women and minorities.29 Still, the desire for their inclusion is clearly expressed in the FDA strategy and can be utilized for advocacy. Another major encouragement for aging research was recently created within the FDA. In November 2015, the FDA approved the “TAME” study – “Targeting Aging with Metformin,” testing the ability of metformin (a well known anti-diabetic medication) to reduce or postpone multiple age-related diseases and dysfunctions.30 Apparently this is the first time that a regulatory agency approved a trial to intervene into the basic aging process (predominantly glycation) with the aim of reducing aging-related multimorbidity. Yet, it must be emphasized that the study does not test the effects on “aging” as such (for which there is presently no agreed formal or clinical definition or criteria), but on various age-related diseases and dysfunctions (which can be diagnosed in the clinic and which together are named “multimorbidity” or “comorbidity”). Yet, essentially, there is no agreed formal or clinical definition and criteria for multimorbidity either.31 Some agreed and strict methodologies to evaluate either aging itself or age-related multimorbidity or frailty, as treatable medical conditions, still appear to be desirable tasks for the future, either for the EMA or FDA or other national regulatory agencies. As we have seen, several major international and national programmatic, policy and regulatory frameworks and documents are either explicitly or implicitly supportive of enhanced biomedical research of aging, for the development of science-based clinical diagnostic criteria for morbid aging as opposed to “healthy aging,” and for the effectiveness and safety of therapeutic interventions for healthy aging. Essentially, they are either explicitly or implicitly supportive of a pro-active therapeutic approach to aging-related ill health, in its various aspects. Clearly, those supportive statements will yet require additional discussion and elaboration in academic, public and policy consultations. Still, even in the present form, they provide a good deal of encouragement for aging science. Yet, critically, all that expressed or implied support may remain on paper or in the minds of the interpreters, unless it is backed up by some actual local involvement, both at the grass roots and professional level, at the stage of the policy implementation. For several frameworks, it is rather unclear how this implementation could or should work at the level of countries and institutions. But apparently it is at that “lower” level where the real action will need to take place. World Health Organization, Global Strategy and Action Plan on Ageing and Health (GSAP) – 2016-2020, November 2015, http://www.who.int/ageing/global-strategy/en/; http://apps.who.int/gb/ebwha/pdf_files/WHA69/A69_17-en.pdf?ua=1. Thomas B.L. Kirkwood, “A systematic look at an old problem,” Nature, 451(7179), 644-647, 2008. Claire Joanne Steves, Timothy D. Spector, Stephen H.D. Jackson, “Ageing, genes, environment and epigenetics: what twin studies tell us now, and in the future,” Age and Ageing, 41(5), 581-586, 2012. Sonya Vasto, Giovanni Scapagnini, Matteo Bulati, Giuseppina Candore, Laura Castiglia, Giuseppina Colonna-Romano, Domenico Lio, Domenico Nuzzo, Mariavaleria Pellicano, Claudia Rizzo, Nicola Ferrara, Calogero Caruso, “Biomarkes of aging,” Frontiers in Bioscience, 2(1), 392-402, 2010. Jerry H. Gurwitz, Robert J. Goldberg, “Age-based exclusions from cardiovascular clinical trials: implications for elderly individuals (and for all of us). Comment on “the persistent exclusion of older patients from ongoing clinical trials regarding heart failure,” Archives of Internal Medicine, 171(6), 557-558, 2011, doi: http://dx.doi.org/10.1001/archinternmed.2011.33. Cynthia M. Boyd, Daniela Vollenweider, Milo A. Puhan, “Informing evidence-based decision-making for patients with comorbidity: availability of necessary information in clinical trials for chronic diseases,” PLOS ONE, 7(8), e41601, 2012, doi: https://doi.org/10.1371/journal.pone.0041601. Sube Banerjee, “Multimorbidity – older adults need health care that can count past one,” Lancet, 385(9968), 587-589, 2015, http://dx.doi.org/10.1016/S0140-6736(14)61596-8. Luigi Fontana, Brian K. Kennedy, Valter D. Longo, Douglas Seals, Simon Melov, “Medical research: treat ageing,” Nature, 511(7510), 405-407, 2014, http://www.nature.com/news/medical-research-treat-ageing-1.15585. 2017 ICD-10-CM, Diagnosis Code R54, Age-related physical debility, 2017, http://www.icd10data.com/ICD10CM/Codes/R00-R99/R50-R69/R54-/R54. Senile asthenia, senile atrophia or senile atrophy, senile cachexia, senile catabolism, senile (chronic) (general) (nervous) debility, senile decay, senile degeneration, senile deterioration, senile dysfunction, senile exhaustion (physical, not elsewhere classified), senile failure (general), senile fatigue, senile fibrosis, frailty, senile infirmity, senile marasmus, presbycardia, senile prostration, senectus, old age (without mention of debility), senescence (without mention of psychosis), senility (also condition), senile heart failure, tremor(s) senilis, senile weakness (generalized). World Health Organization, International Statistical Classification of Diseases and Related Health Problems, 10th Revision (ICD-10)-WHO Version for 2016, Geneva, 2016, http://apps.who.int/classifications/icd10/browse/2016/en#R54. World Health Organization, The International Classification of Diseases, 11th Revision (due by 2018), accessed June 2017, http://www.who.int/classifications/icd/revision/en/. World Health Organization, ICD-11 Beta Draft (Joint Linearization for Mortality and Morbidity Statistics), MJ35 Old Age, accessed June 2017, http://apps.who.int/classifications/icd11/browse/l-m/en#/http://id.who.int/icd/entity/835503193. The full inclusions into the ICD-11 draft category MJ35 “Old Age” are: old age without mention of psychosis, senescence without mention of psychosis, senile debility. Exclusions: Senile dementia (6C30-6C3Z). For the record, all the 38 Index Terms listed are: Old age, senescence, senile state, senile dysfunction, senility (not otherwise specified), general debility of old age, old age atrophy, old age, cachexia, old age debility, old age exhaustion, presbycardia, senectus, senile, senile atrophy, senile cachexia, senile catabolism, senile decay, senile degeneration, senile deterioration, senile exhaustion, senile failure, senile fibrosis, senile infirmity, senile marasmus, senile weakness, senilis atrophia, senile prostration, frailty of old age, old age without mention of psychosis, senescence without mention of psychosis, senile asthenia, tremor senilis, senile fatigue, senile change, senile debility, geriatric fraility, frail aged, age related fraility. These codes are as they appear at the WHO ICD-11 Beta Draft, as of June 2017. Notably, the code numbers in this category have been changing continuously. The earlier codes for “Old Age” were MA20, followed by MJ43, and presently MJ35. Rafael Lozano, Mohsen Naghavi, Kyle Foreman, Stephen Lim, Kenji Shibuya, Victor Aboyans, et al., “Global and regional mortality from 235 causes of death for 20 age groups in 1990 and 2010: a systematic analysis for the Global Burden of Disease Study 2010,” Lancet, 380, 2095-2128, 2012, doi: http://dx.doi.org/10.1016/S0140-6736(12)61728-0. World Health Organization, International Classification of Functioning, Disability and Health (ICF), accessed June 2017, http://www.who.int/classifications/icf/en/. World Health Organization, A Practical Manual for using the International Classification of Functioning, Disability and Health (ICF), 2013, http://www.who.int/classifications/drafticfpracticalmanual2.pdf?ua=1. Aftab Ahmad, Shoji Komai, “Geriatrics and gerontology: neglected areas of research in most developing countries,” Journal of the American Geriatrics Society, 63(6), 1283-1284, 2015, doi: http://dx.doi.org/10.1111/jgs.13521. The International Conference on Harmonisation of Technical Requirements for Registration of Pharmaceuticals for Human Use, ICH Harmonized Tripartite Guideline E7, Studies in Support of Special Populations: Geriatrics, ICH, Brussels, June 24, 1993, http://www.ich.org/fileadmin/Public_Web_Site/ICH_Products/Guidelines/Efficacy/E7/Step4/E7_Guideline.pdf. The EMA documents cited here are available at this site. European Medicines Agency, EMA geriatric medicines strategy, EMA/CHMP/137793/2011. European Medicines Agency, EMA geriatric medicines strategy: Report analysis on product Information, EMA/352652/2013. European Medicines Agency, Concept paper on the need for a reflection paper on quality aspects of medicines for older people, EMA/165974/2013. 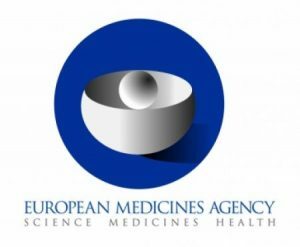 European Medicines Agency, Proposal for the development of a points to consider for baseline characterisation of frailty status, EMA/335158/2013. Cesari M., Fielding R., Bénichou O., Bernabei R., Bhasin S., Guralnik J.M., et al., “Pharmacological interventions in frailty and sarcopenia: Report by the International Conference on Frailty and Sarcopenia Task Force,” The Journal of Frailty & Aging, 4(3), 114-120, 2015, https://www.ncbi.nlm.nih.gov/pmc/articles/PMC4563815/. US Department of Health and Human Services. Food and Drug Administration (FDA), Guidance for industry. E7 studies in support of special populations: Geriatrics. Questions and answers, Food and Drug Administration, Silver Spring, Maryland, 2012, http://www.fda.gov/downloads/drugs/guidancecomplianceregulatoryinformation/guidances/ucm189544.pdf. National Institutes of Health (NIH), NIH inclusion of children as participants in research involving human subjects, Bethesda, Maryland, accessed June 2017, https://grants.nih.gov/grants/funding/children/children.htm. John C. Newman, Sofiya Milman, Shahrukh K. Hashmi, Steve N. Austad, James L. Kirkland, Jeffrey B. Halter, Nir Barzilai, “Strategies and Challenges in Clinical Trials Targeting Human Aging,” Journal of Gerontology: Biological Sciences, 71(11), 1424-1434, 2016, https://academic.oup.com/biomedgerontology/article/71/11/1424/2577175/Strategies-and-Challenges-in-Clinical-Trials.